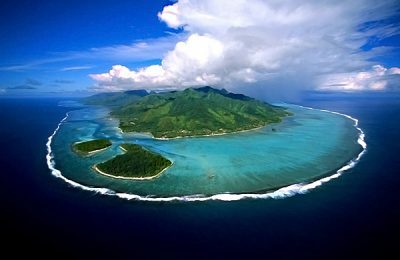 In the enchanted archipelago of the French Polynesia, a piece of France in the midst of the Pacific Ocean, the island of Tahiti plays host to the capital, Papeete, and argubly the biggest and most powerfull left in the world, Teahupoo, venue of the Billabong Pro, an annual stop of WTC World Tour. Haapiti Surf Bungalows - Papeete, Moorea Guests overall rating: ★★★★★ 5 based on 4 reviews. 7 wonderful bungalows are situated 200 metres back from the coastal road. The inner lagoon and reef is accessible by kayak at the end of our drive way. Island features include white- and black-sand beaches, mountains, rugged backcountry and towering waterfalls. The break in front of Moorea Bungalows is a very consistent world class break and there are many more crystal clear barrels to be discovered around the island!